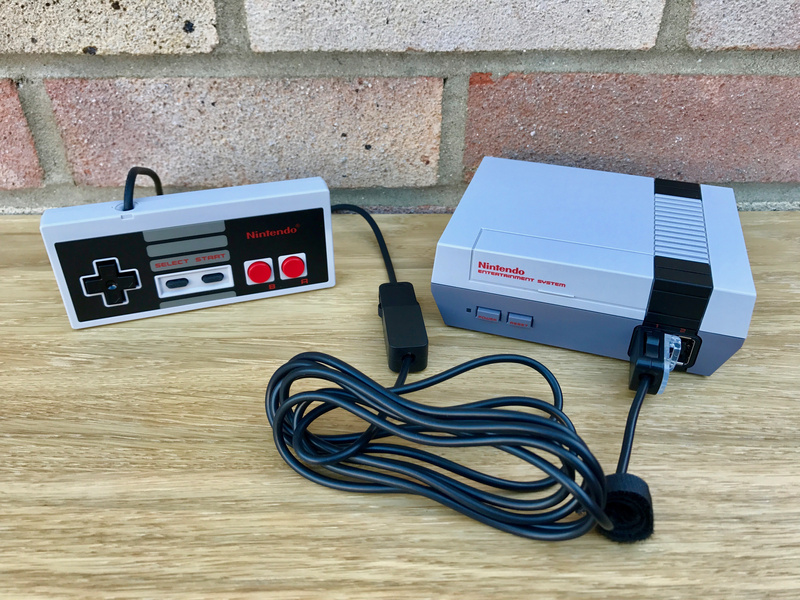 The NES Classic Edition is a wonderful micro-sized retro-gaming machine; availability issues aside its hard to find much fault with, it apart from the rather short controller cable which comes with the otherwise excellent replica of the original NES controller. At just 30 inches the cable that joins the pad to the console itself is far too small, forcing you to sit right in front of the TV in order to play. You can use the HDMI cable to move the system away from the television and therefore gain some additional distance, but all told there aren't any particularly ideal solutions with the core system. As always third-party controller manufacturers step in, and have come to the rescue with wireless controllers so you never need to get tangled up with cables ever again. 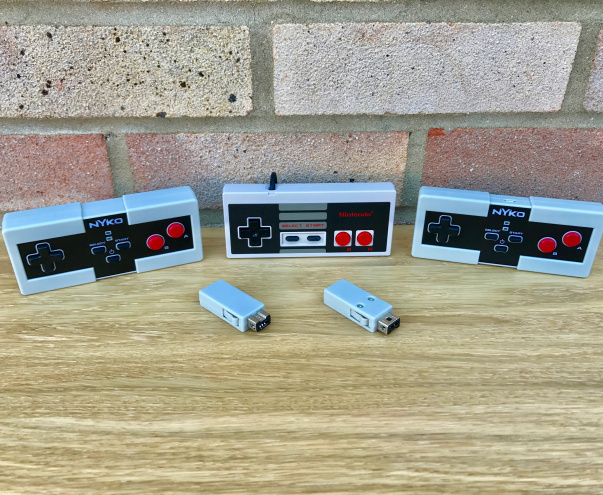 Let's see how the 8Bitdo NES30 fares against the Nyko Miniboss in this showdown in the world of NES Mini wireless controllers. 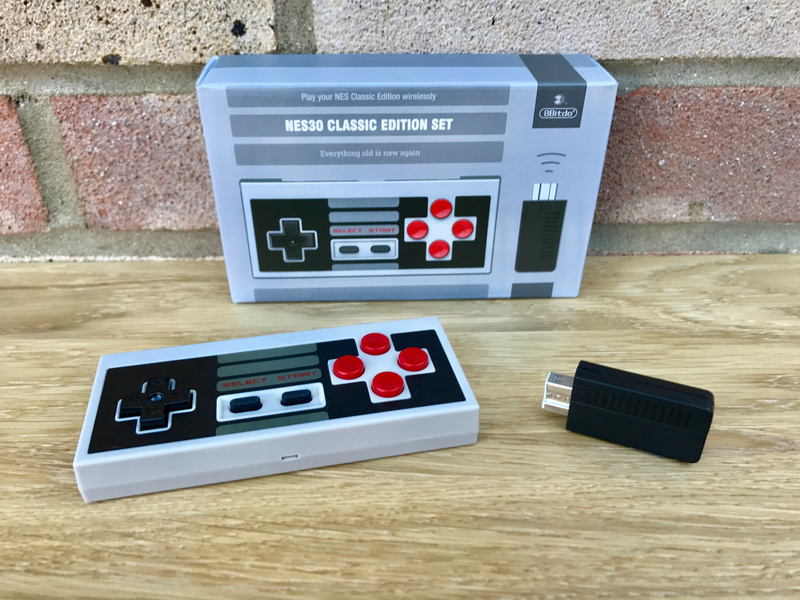 The 8Bitdo NES30 bluetooth controller has been around for a while now; it's very popular for emulation and can also be used with iOS and Android games. It's now been repackaged with a NES Mini adaptor, and it's easy to pair by pressing the sync button on the receiver. Its internal battery holds a decent charge and it can be topped up via the included micro USB cable. 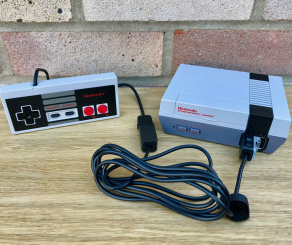 Aesthetically the NES30 apes the looks of the NES original and is identical in size, however it's got additional X, Y, L and R buttons due to its legacy in emulation. While these extra buttons are superfluous, the L and R buttons act as rapid fire A and B buttons, which is nice touch. In our tests the NES30 works perfectly with the NES Mini, with no notable lag or drop-outs. The D-pad is pretty much the same as the NES Mini wired controller and is very responsive. The buttons are very similar to the original and are concaved also; the only difference is that B and A on the NES30 are in a SNES-like configuration. It only takes a moment to get used to this and we found it works great. You can access the NES Mini menu to change games by pressing down on the D-pad in conjunction with the Select button; this overcomes the biggest problem with using cable extenders with the original NES Mini controller. We love the faux retro packaging with the Nyko Miniboss, boasting "space-age cordless technology". We tried out two variations of this controller. 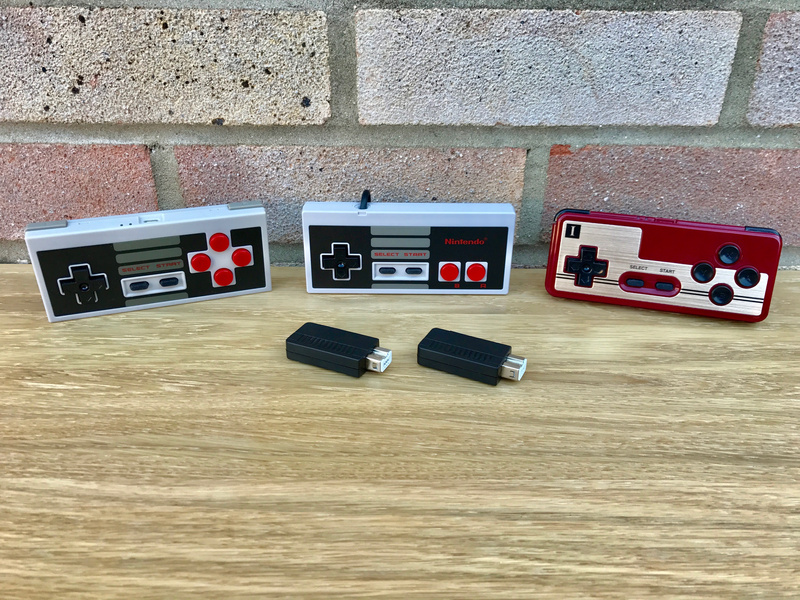 The micro USB rechargeable version is pretty much the same dimensions as the NES original and the 3x AAA battery powered version is about 1/3 fatter, which does not feel great in the hands as a result. Compared to the NES30, the Miniboss also has a cheaper plastic feel. In terms of looks the Miniboss is nothing to write home about, however we like that there are no redundant extra buttons. There is a power button, however; this is something the NES30 sidesteps by turning on and off with a 3 second press of the Start button. We liked that the Miniboss has slightly rounded corners which don't dig into your hands during extended play, which is more similar to a classic Famicom controller. Synching the Miniboss controller with the receiver is easy. The rechargable controller boasts 15 hours battery life, but you'll need to provide your own micro USB cable to top it up. The fatter AAA version should give you 35 hours of playtime. Unfortunately the D-pad on the Miniboss is its key flaw; at times it can be a little unresponsive in games which require you to change direction quickly, such as Pac-Man. It feels stiff, ultimately, and that's a problem when it's such a vital part of the NES experience. It's not a deal-breaker, necessarily, but it's not up to the standard set by the NES original or 8Bitdo's also excellent D-pad. The B and A buttons are fine, however, and it uses convex-style buttons like a Game Boy, which some people might prefer. They are offset ever so slightly compared to the NES original, but this works fine in practice. Entering the NES Mini menu to change games is also easy - simply tap the power button. 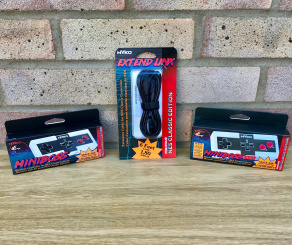 We also tested out Nyko's extension cable, which adds an extra 6ft of length to the NES controller packaged with the NES Classic Edition. This might be the best way to go for some people, although you will be out of reach of the reset button on the console for changing games. 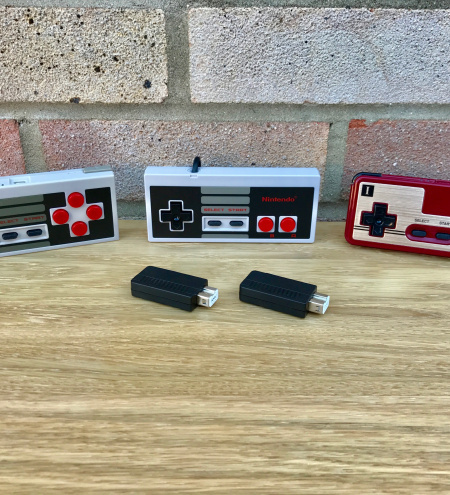 The winner, for us, is 8Bitdo's NES30 Classic Edition Set. It faithfully replicates the feel of the original NES controller, though it would have been nice to have had a hardware revision without the extra buttons. The key advantage it holds is the D-Pad, which is so integral to NES gaming and needs to be top-notch; for the Nyko Miniboss, that is it's downfall. 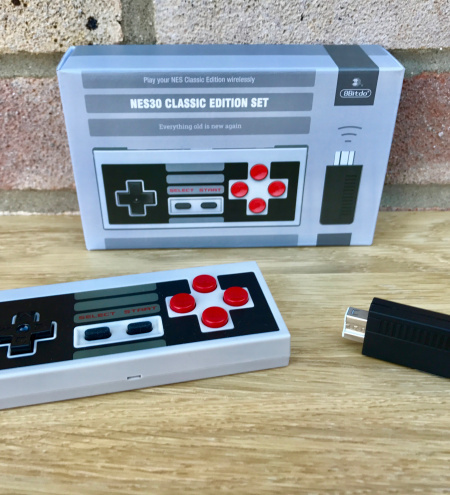 The NES30 Classic Edition Set is twice the price of the slightly less stellar Nyko Miniboss, however, so the latter might be a good choice for that Player 2 in your life over whom you want an advantage in multiplayer! The hardware for this review was provided by Game Outlet (European 8Bitdo distributor) and Nyko. It's still a quest for the Nintendo Classic Mini. The controller is the least of my concerns right now. X Y Buttons for NES ? Is that another A B Buttons since there is no X Y input command for NES games. I think a quest for finding a NES Mini for $60 is still the biggest challenge. Still do not have a NES Classic Mini!!!!!!!!!!!! So, what's the plan for NES Mini going good forward? Is it going to flood the market soon, or is Nintendo going to just let it go away as they focus on the Switch? Have they said either wsy? I know the Nintendo NY store sends out a tweet every morning about wristbands which they quickly run out of every day. I can't get a feel for it. Soooo, no cheap extension cables? Edit: I do realise the topic is "best wireless solution", but some of us do have a budget..
@rjejr I can't find the link but when the Classic was first released I read an article with a quote from a Nintendo rep in Japan saying that the Classic would not be a limited run product and stock would be replenished in 2017. However this was a rep from Japan, don't know if he speaks for NoA as well. I'd still like to get one myself. For the controller, I have yet to use an aftermarket controller that compares favorably to OEM. I hope that changes but so far all of them that I've used feel like shoddy junk compared to what Nintendo, Sony, and Microsoft make, or even what Sega used to make but I haven't felt these new Nyko or 8bitdo ones. Hope they're good and would make good classic controllers for the Wii at least. 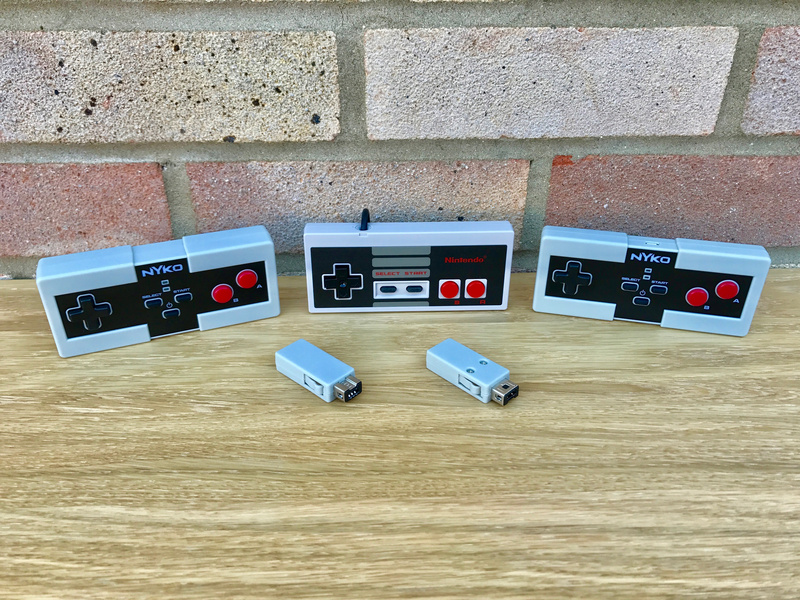 Umm does anyone even have a NES mini to try these on? I just want the controller for the thing. I don't even care about the system anymore. I'm about to beat Metroid on the Mini NES with an 8bit do and I can say at 100%, it works just like the original joysticks. I've used it on many other games and there is no lag or anything off. I'd also recommend getting the adapter that lets you use the original NES joysticks. It's funny to play with an NES Advantage, given that its size versus the mini. But those adapters work perfectly too, I've used a dogbone controller and it worked great. 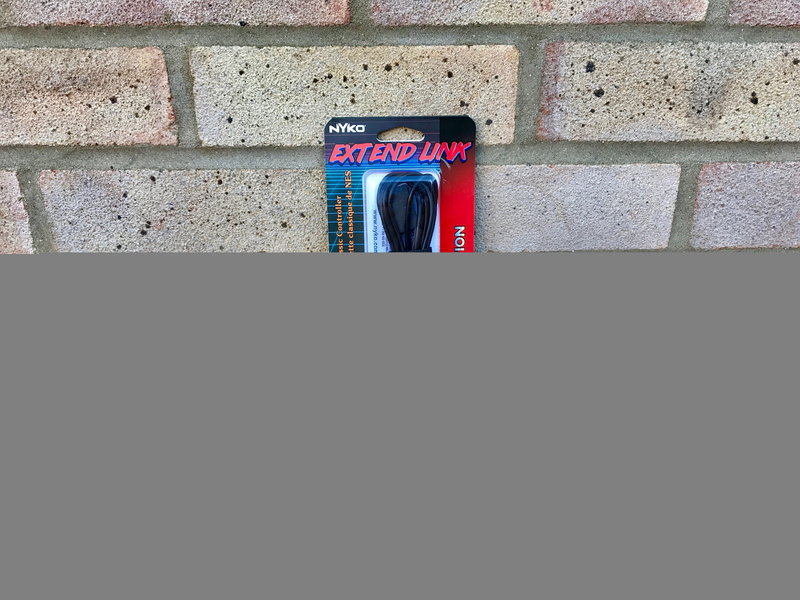 I just got extension cables (2 of them) for like £9. Work great. Though doesn't help with the constant need of resetting for save states on some of the more annoyingly difficult games (cough Zelda II cough Castlevania II). I do like the control pads, they are very close if not identical to feeling like the originals. I have a NES30 Pro and it feels fantastic. I agree that the 1st party controllers are the best and I won't use any others, but 8Bitdo make controllers that are almost as good as Nintendo's own. Perhaps the buttons are slightly clickier though. @Anti-Matter They work as actual X/Y buttons when using the controller on other systems. I'm pretty sure in this case they work as X=B, Y=A, sort of like when using a Wii classic controller. How about the quest for the console itself? I think I'll get a Switch before I get an NES Mini. I see NES Classic controllers, carrying cases, and other accessories at Target, GameStop, etc. everywhere I go. I have still yet to actually see a real-life NES Classic in person. Nintendo's ineptitude in meeting demand is astonishing. The new Hakchi 2 hack for the NES Mini now update its firmware so you can return to the menu by pressing Down+SELECT so to make it easier for those who had extension cable for this. Ah, I can see the obligatory "a controller is useless when the console itself is harder to find than the wreckage of Latham, the airplane that killed famed Norwegian explorer Roald Amundsen" jokes have already been made. Still not able to get a nes mini. To be honest I've almost given up cos switch is so close now. Had the NES30, after about a year of gentle use the micro USB port broke off and fell into the controller itself. 8bitdo would not replace it. I'd try another if we could remap the buttons, but using the SNES B and A setup is so awkward. Think Ninja Gaiden Trilogy awkward. I invested in cheap cord extensions, works fine. i ordered a couple of extension cables for 3 quid from china..they work perfectly. Do either of the wireless adaptors let other controllers function through a Wiimote as Classic Controllers?